Monash University is a public university based in Melbourne, Australia. It is Australia's largest university with about 55,000 students. 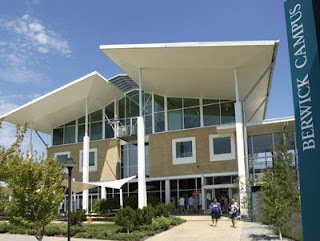 The University has a total of eight campuses: six in Victoria, Australia (Clayton, Caulfield, Berwick, Peninsula, Parkville and Gippsland), one in Malaysia and one in South Africa. The university also has a centre in Prato, Italy. Monash University is a member of the prestigious "Group of Eight", a group composed of some of the most research-intensive universities in Australia. Named after prominent Australian Sir John Monash, Monash University was established by an Act of Parliament in 1958, making it the first university to be established in the State of Victoria for 106 years. From its first intake of 347 students at Clayton in 1961, the university grew rapidly in size and student numbers so that by 1967, it had enrolled more than 21,700 students. In the decades that followed, Monash developed a wide range of courses in arts, commerce, engineering, education, law, medicine and science. It also established new buildings across the Clayton site and created a thriving cultural atmosphere with outstanding performing arts and concert programs and a growing collection of contemporary Australian art. In 1990, Monash moved beyond the borders of Clayton and merged with the Chisholm Institute of Technology, creating the university's Caulfield and Peninsula campuses. This was followed by the establishment of the Gippsland campus, which, after an initial period as Monash University College Gippsland, officially became part of the Monash University family in 1991. The following year, the Victorian College of Pharmacy joined the rapidly growing university as the Parkville campus. The growth continued apace with the establishment of a new campus in Berwick in 1994 within the south-eastern growth corridor of Melbourne. 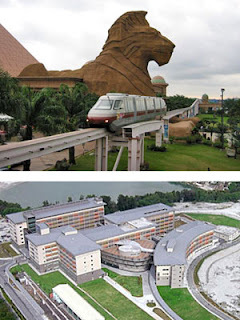 In 1998, the Malaysian Ministry of Education invited Monash to set up a campus in Malaysia jointly with the Sunway Group. Monash University Malaysia was established in 1998 -- the first Monash campus outside Australia. A second off-shore campus was opened in South Africa in 2001. From a single campus at Clayton with fewer than 400 students, Monash has grown into a network of campuses, centres and partnerships around the world with more than 50,000 students from over 130 countries. The Monash University identity aims to convey our essence, what we are today and what we aspire to be in the future. The elements combine to present an image of quality and substance, clarity and innovation. Our logo features a version of the original university shield (pictured at right) that demonstrates the quality associated with a prestigious higher education provider. An open book commonly found in coats of arms of universities and learned societies, symbolising the pursuit of knowledge. The stars of the Southern Cross signifying our country of origin, Australia. The sword and wreath are references to the coat of arms granted to Sir John Monash, the namesake of the university. Our motto "Ancora imparo", which means "I am still learning", attributed to Michelangelo. The identity is designed to reinforce our values: Excellence; Diversity; Innovation and creativity; International focus; Fairness; Integrity; Engagement; and Self-reliance. 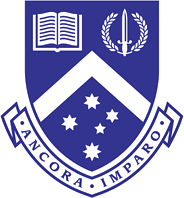 Note: The original Monash shield is still used to authenticate the university's highest official documents such as testamurs. Monash University is regularly ranked as one of the top universities in Australia, Asia and the world. We have an enviable reputation for academic excellence, and outstanding research credentials. We are recognised as one of the top 50 world universities, ranked 43 in the world by the Times Higher Education Supplement 2007. Ranked as one of the top 40 universities in the Asia-Pacific (Shanghai Jiao Tong 2006) we continually aim to offer a rare combination of strong academic tradition and innovative, international spirit. As one of Australia's leading Group of Eight (Go8) universities, we are recognised for our excellence in research, teaching and scholarship. Our Monash Master of Business Administration (MBA) has been ranked number 2 in the world for the category of 'Personal development and educational experience' (The Economist Intelligence Unit Survey of MBA Programs, 2007). 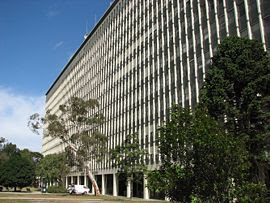 Overall it was ranked 43 in the world, the highest ranked MBA in Australia, a jump of 6 places from its 2006 position. One of Australia's premier medical research university, we received over $9 million in NHRMC program grants in January, 2007. Monash University offers a vibrant and challenging learning environment to more than 50,000 students. Our 10 faculties deliver quality degrees and embrace new directions, ideas and opportunities in research, that drive our culture of innovation.